PALMA DE MALLORCA, SPAIN - NOVEMBER 01, 2015: Gothic Roman Catholic Cathedral Santa Maria La Seu. 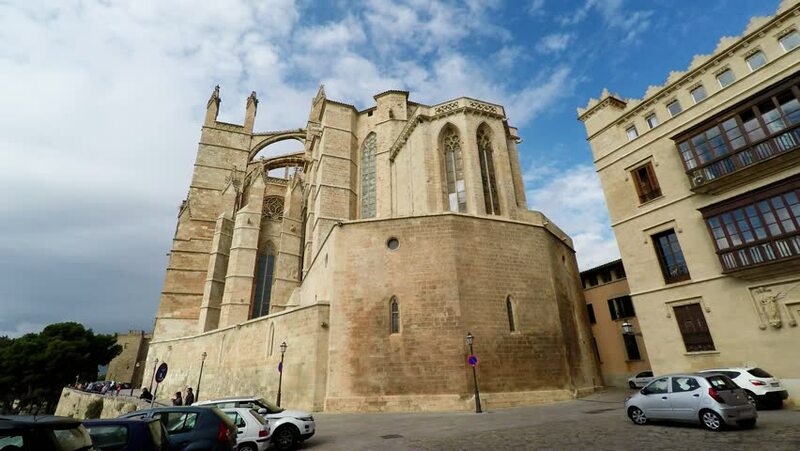 Designed in the Catalan Gothic style but with Northern European influences. Time lapse timelapse view. 4k00:07San Leo (Rimini), Italy. Medieval village. The most beautiful small town in Italy. The unknown Italian charm, hidden and beauty.